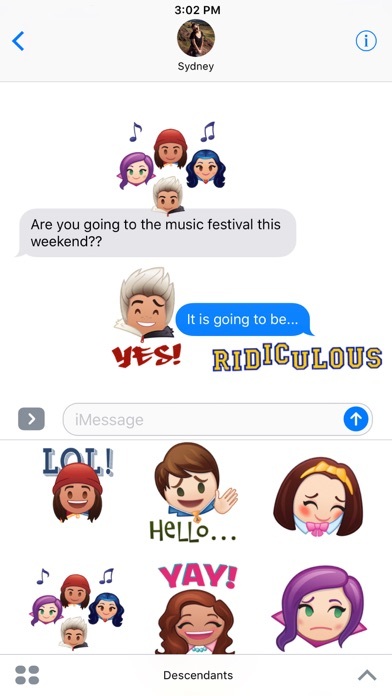 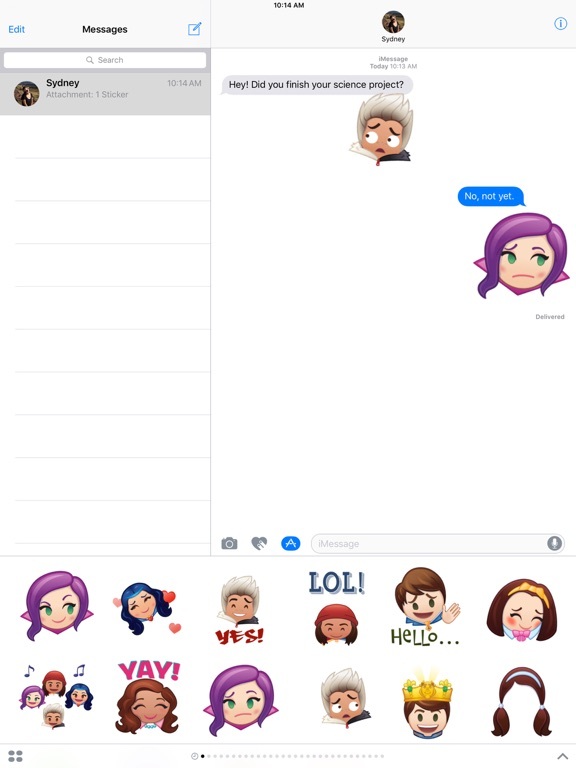 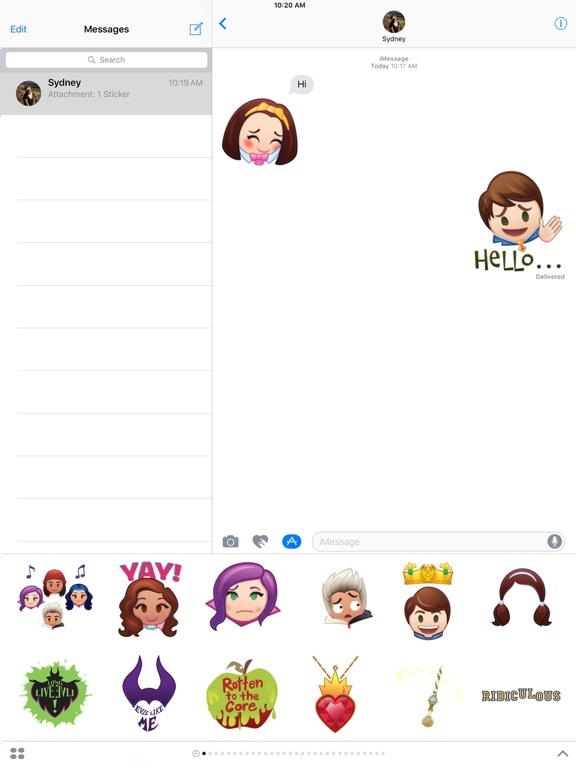 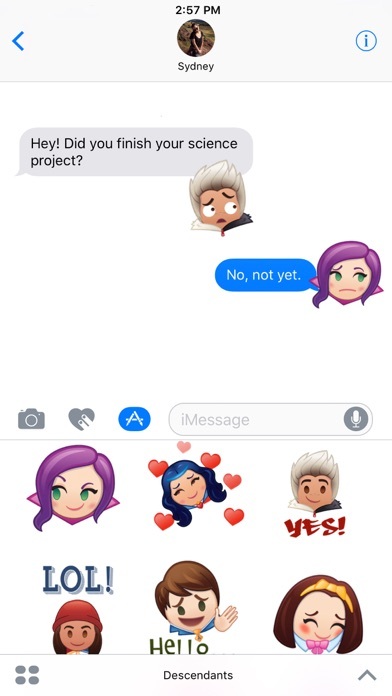 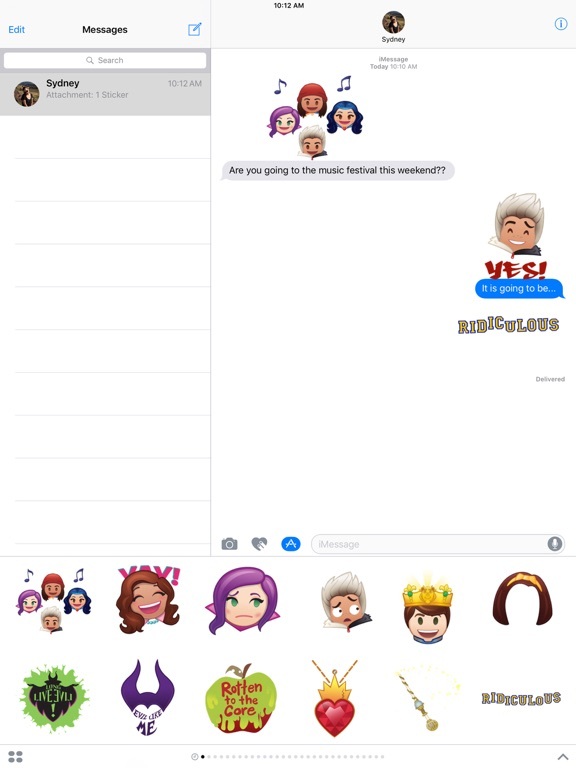 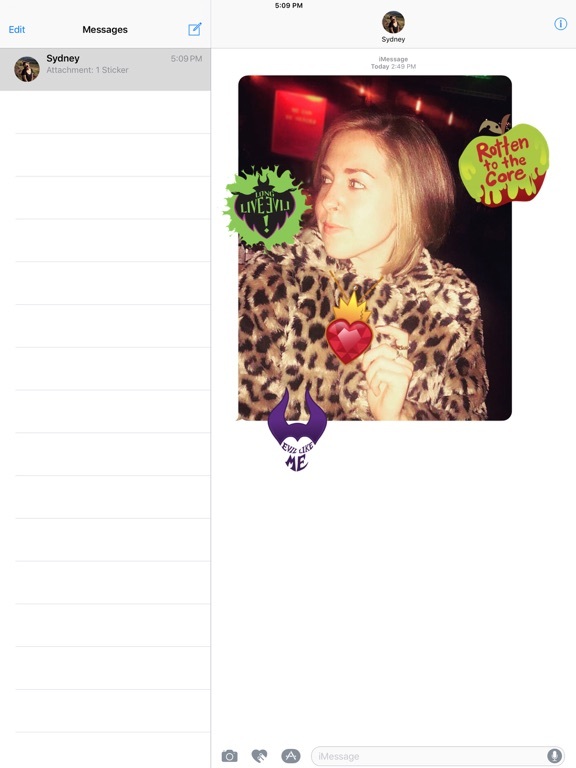 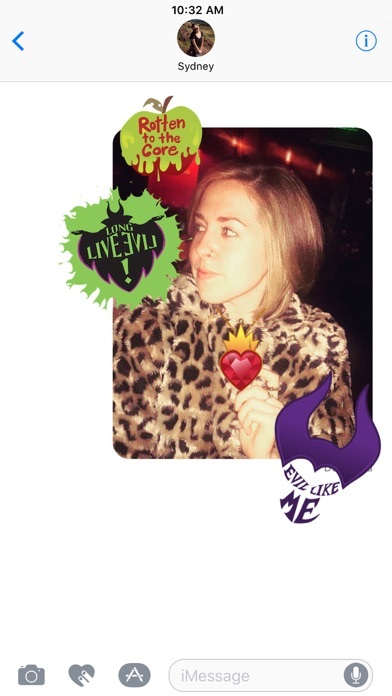 Make your messages rotten to the core with this first Descendants movie sticker pack! 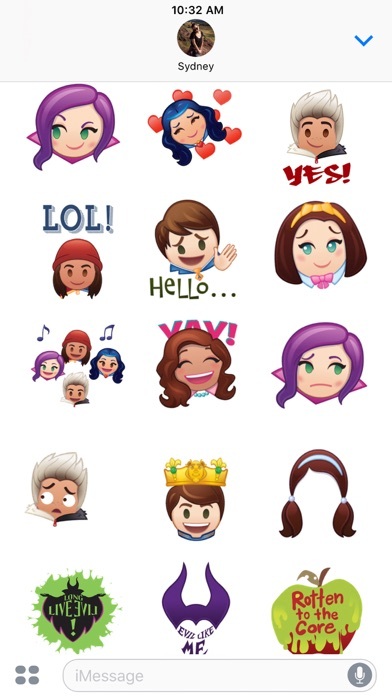 It includes your favorite wicked descendants like Mal, Evie, Carlos, and Jay, plus heroic ones like Audrey and Ben. 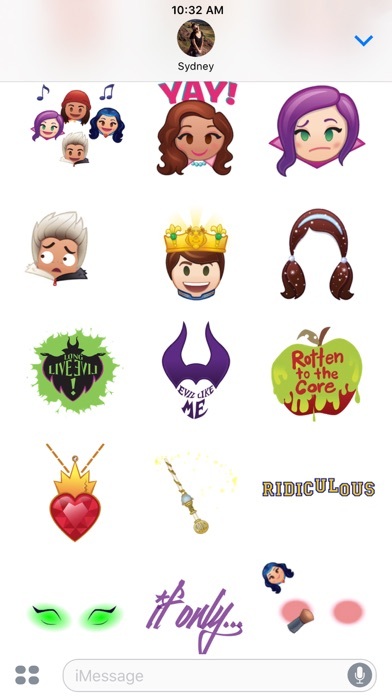 And don't forget accessories... check out Evie’s necklace, the Fairy Godmother's wand, and more! 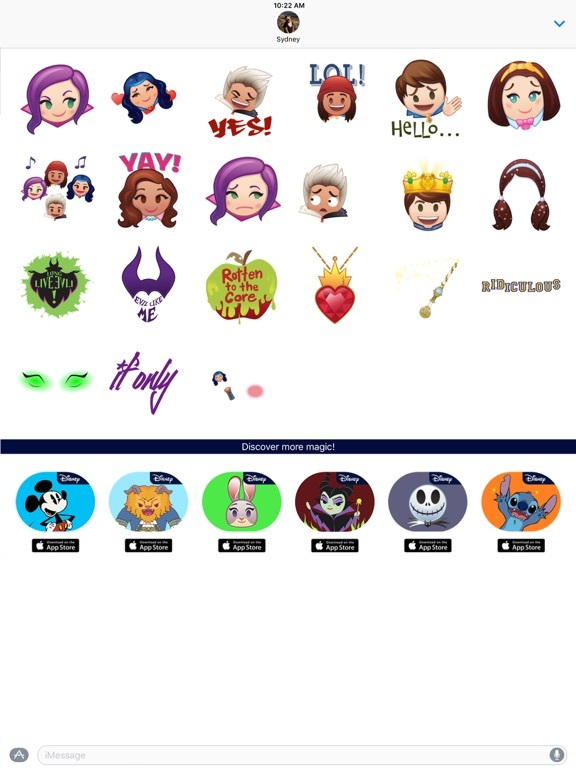 -Celebrate the premiere of Descendants 2 airing on July 21st only on Disney Channel with three new stickers: Uma, Harry Hook, and Gil!